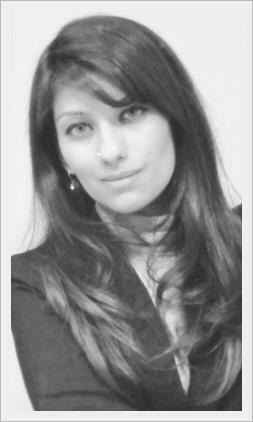 Sana Ali is a Strategic Studies Concentrator at Johns Hopkins SAIS. She focuses specifically on South and Central Asia. Every generation of Pakistanis feels as if the country faced unprecedented challenges in their lifetime. One of my earliest memories is hearing my father discussing Pakistani politics: “We are in dark times,” he said over tea, “but we will manage them.” Pakistan has survived from one crisis to another, but now the country finds itself in a security storm with internal conflicts threatening the writ of the state. Today Pakistan is democratic, and stronger than the nascent democracy President Asif Ali Zardari’s PPP-led coalition government shepherded through to a successful term completion in 2013. The importance of that precedent cannot be overstated, for it is the process of democracy that requires diligence to the evolving concerns of its citizenry. The foremost threat comes from within this democracy. The state faces off against a sinister syndicate consisting of Al Qa’ida, the Tehreek-e-Taliban Pakistan (TTP) and others working to undermine the progress we have made and the rights we have won. There are few public progressive voices, yet what they lack in numbers they make up for in pure grit. Recently, one of our leading thinkers, Mr. Raza Rumi, narrowly escaped an attempt on his life. Mr. Rumi has a record for speaking out for those who have been silenced: victims of terror, sectarian killings, and a system that fails to accord citizens’ their legal rights to due process and protection. The ideology of extremism that terror networks use to justify their crimes against innocents is a complex one, and difficult to reverse. Pakistan needs bold leadership to identify who its enemies are, and to craft a strategy to push Pakistan towards a desirable future. The recently passed National Internal Security Policy seeks to bring together disparate elements of strategy, but actions towards that end remain to be seen. Pakistan has lost upwards of 60,000 lives in the past decade, and it simply cannot stave off violence emanating from a post-2014 Afghanistan. Leadership must press on with policy rooted in public support, and ensure that it is the state itself — not heads of terrorist networks recast as sympathetic figures — that control the narrative. Too often, both Islamabad and Washington, DC are entangled in the binary debate of pursuing counterterrorism versus counterinsurgency strategies. These strategies should not be seen as opposing ideas. Counterinsurgency always attempts to build the capacity of governmental institutions, which constitute Pakistan’s frontline response. Military force comes into play in instances such as the Pakistani army defeating the Taliban from Swat Valley in 2009. In a country where political leaders, journalists, soldiers, and thousands of innocent civilians are killed and constantly under threat, a long-term, multi-faceted approach is needed. Currently, such a strategy is sorely missing. Over the past few years Pakistan has tried to chart a less partisan course in Afghanistan, rightly calling for an Afghan-led and Afghan-owned political process. Yet there is no escaping the fact that the countries’ trajectories are interdependent, as they have been for decades. Pakistan absorbed refugees, heightened volatility, and a seamless mobility of insurgents in and out of its borders, all of which changed the country immeasurably. Today if Islamabad has concerns about the US military drawdown, how or if forces will be positioned in Afghanistan, whether Afghanistan will receive the needed $8 billion annually in international pledges, these worries are legitimate because they directly affect the internal crisis. These questions contribute to an uneasy atmosphere in many capitals, but particularly so in Islamabad. American influence looms large, even in its retreat. The US and the international community must support smart policies in the region to bring about a favorable and peaceful future. Many of the problems Pakistan faces today have their roots in the past when ideological leadership commenced on the path of policy adventures. Fortunately, two civilian governments have identified identical strategic priorities, and this is a unique opportunity to seek national consensus and support from regional and global players. This is a moment for historic gains. As former Ambassador to the United States Sherry Rehman writes, time no longer favors the law in Pakistan. Pakistan is not Afghanistan: no foreign army is exiting here, and the nature and scale of the terrorist threat is very different. The days of political stumbling on key strategic priorities are over—or they will have to be if Pakistan survives the coming storm. My generation cannot merely plan to survive, but must come out ahead of what has plagued Pakistan for so long.